The most profound truths in life are simple enough to be told without much strain. 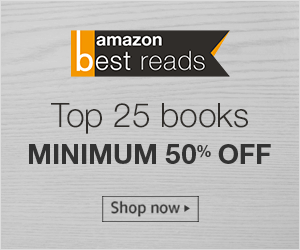 'Life's Amazing Secrets’ is one such book, written in a light-hearted, thought-provoking style, by popular ISCKON monk, Gaur Gopal Das; who has a huge base of subscribers on YouTube. Speaking to a rapt audience, Gaur Gopal Das said, "I think the art of living life is to find the right balance between being successful and feeling successful. People have mastered the art of being successful but we also need to master the art of feeling successful. Being successful is about having things but feeling successful is about living your life. Being successful is about what others think of you, feeling successful is about what you think of your own life. Being successful is about climbing up the stairs to the heights, feeling successful is about finding the key to your happiness." 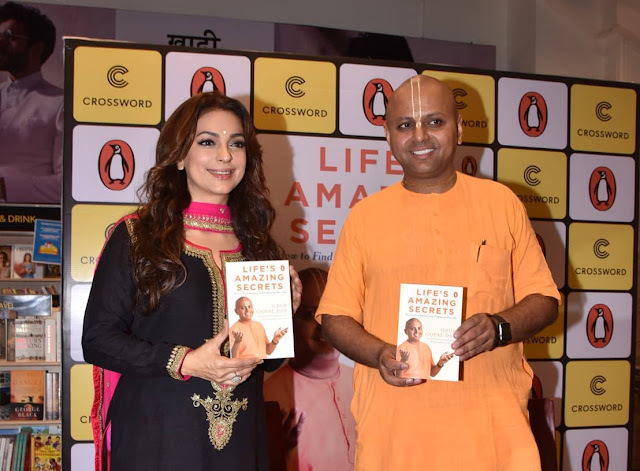 Unveiling the book, Life's Amazing Secrets, actress Juhi Chawla said, "Gaur Gopal Dasji, I have been watching your videos. You have become world famous. I had never met him and had no idea I would run into him in Italy, about 10 - 12 days ago. There he spoke very interesting things, about engagement, life and relationships and then I get this invitation of here. I replied I am really looking forward for reading Life's Amazing Secrets and not only that I am also looking forward to buy lots of copies for my friends and family because I'm sure we all want to know what's in there for a successful life. So thank you for unveiling them for us." About The Author: Gaur Gopal Das graduated as an Electrical Engineer over 22 years ago, having studied at the College Of Engineering, Pune. After a brief stint with Hewlett-Packard, he decided to upgrade his career to be a monk and life coach. Gaur Gopal Das is a student of His Holiness Radhanath Swami and is a senior monk in the International Society for Krishna Consciousness (ISKCON). He has been speaking at various prestigious colleges in India and Globally for over 2 decades. He has been very actively involved in guiding leading doctors and medical professionals across the globe. Corporate firms like Infosys, Barclays, Bank of America, EY, Ford, Macintosh have not been an exception in his areas of continual help and guidance. He was awarded the 2016 Rotary International's Super Achiever Award for outstanding contribution in the field of spirituality and inspiration.